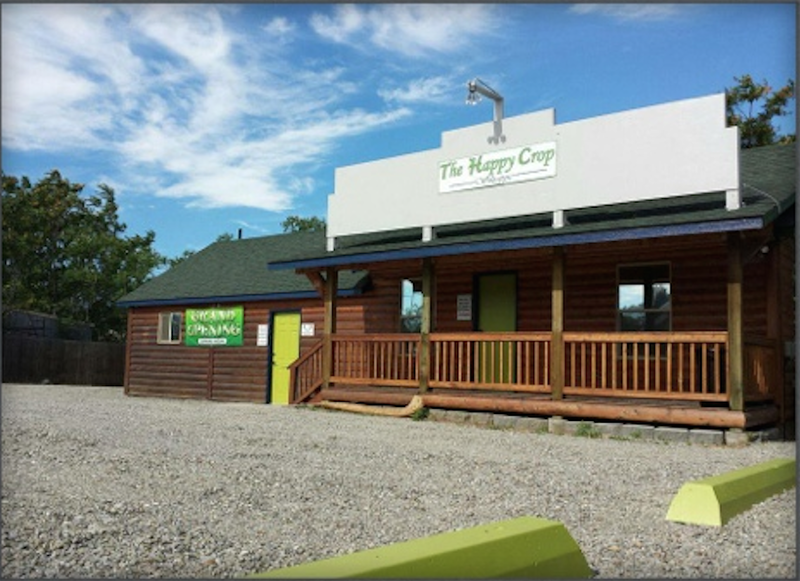 Mark McCants The Happy Crop Shoppe is a 502 retailer set to open in Washington State. More than a year and a half since voters in Washington overwhelmingly voted for the legalization of recreational marijuana for adults, retail stores in the Evergreen State will finally open for business on Tuesday, July 8. Around two dozen venues around the state are expected to open their doors -- a fraction of the 334 retail stores that will eventually be licensed and supervised by Washington's Liquor Control Board. National and local press will focus on Seattle's Cannabis City, where Seattle City Attorney Pete Holmes (an 1-502 sponsor) and ACLU's Alison Holcomb (who authored I-502) will be witnesses to the historic event. Long lines, limited product (mostly bulk, and pre-rolled flower) and steep prices are anticipated at the event, which begins classically at "High Noon." But from my perspective as the CEO of the Marijuana Business Association (MJBA) – a.k.a. "the chamber of commerce for legal cannabis business," the real story goes much deeper than Tuesday's media event. For the past year and a half the building blocks for a new industry have been laid in Washington State. A true grassroots phenomenon, the legal marijuana industry is being created by a broad swath of Americans, each bringing something unique to the party. These business pioneers come from all walks of life: technical 20-somethings and experienced business folks 50+; medical marijuana patients who are advocates for the plant, and savvy entrepreneurs and investors who recognize the potential of an untapped market. The Green Rush is ushering in a new dawn for American business -- a kinder, gentler business world where cooperation and competition drive innovation. We've evolved beyond Gordon Gecko's "Greed is Good" ethos, beyond conspicuous consumption and planned obsolescence. While many of us are schooled in building our individual brands and differentiating ourselves from the competition; in establishing a new industry it is important to stand together as a community to help define the best practices, standards and principles. Self-regulation is preferable to externally imposed regulation. MJBA provides forums and platforms for participants in the legal cannabis industry to define our best practices. Through events like our Vendor Fairs and professional education seminars, we gather together all the players to discuss crucial issues like financing, security, distribution and packaging. July 8 marks the official beginning of our grand experiment. Those of us involved in Washington's emerging industry take our responsibilities seriously. We know that the rest of the country, and indeed, the rest of the world, is watching us to see how legalization impacts not only the economy, but the social fabric as well. As an industry, we are committed to being more than compliant. We know we will be held to a higher standard, and our intention is to create the mechanisms for self-regulation. This is a grassroots business revolution; an overnight industry that's been in the making for 40 or 50 years. Driven by federal prohibition – this industry is being created state by state, county by county, each seeking to define the best way to address a growing market demand. This is both a local business story, and a global one. What happens this week in Washington State is news; what happens in the weeks and months to follow as the industry evolves will make history.